Rent Jenner Inn and Event Center | Corporate Events | Wedding Locations, Event Spaces and Party Venues. 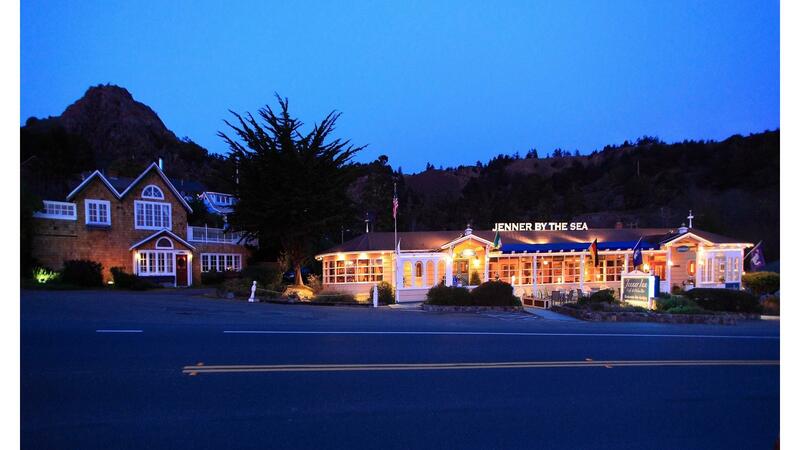 The Jenner Inn and Eatery by the Sea is located on Highway 1 along the Northern California Coast just 90 minutes from the San Francisco Bay Area. We are ideally located near Bodega Bay, the Sonoma Wine Country and where the Russian River cascades into the Pacific Ocean. After 36 years, we are proud to announce that Richard Murphy has returned to restore and upgrade the Jenner Inn. Richard's vision for this endeavor has created a platform of inspiration and enjoyment for all. Our mission is to provide an opportunity for our guests to have a relaxing and enjoyable experience in Jenner by not only offering excellent customer service but also a charming place to eat, rest and love. The Jenner Inn has been operating continuously, in a quiet, sleepy little way, since Mr. A.B. Davis erected a lumber mill in 1904. The tiny hamlet was christened "Jenner by the Sea", and a hotel/post office was built to accommodate the anticipated bustle of a booming town. The mill thrived for ten years, supplying lumber to rebuild Santa Rosa and the San Francisco Bay Area following the great earthquake of 1906.In 1914 Mr. Davis died and his son and heir closed the mill (and probably went off to war). During this time the hamlet developed into a village, with the building of a school house and perhaps 50 dwellings. Seven of those dwellings are now part of the Jenner Inn.